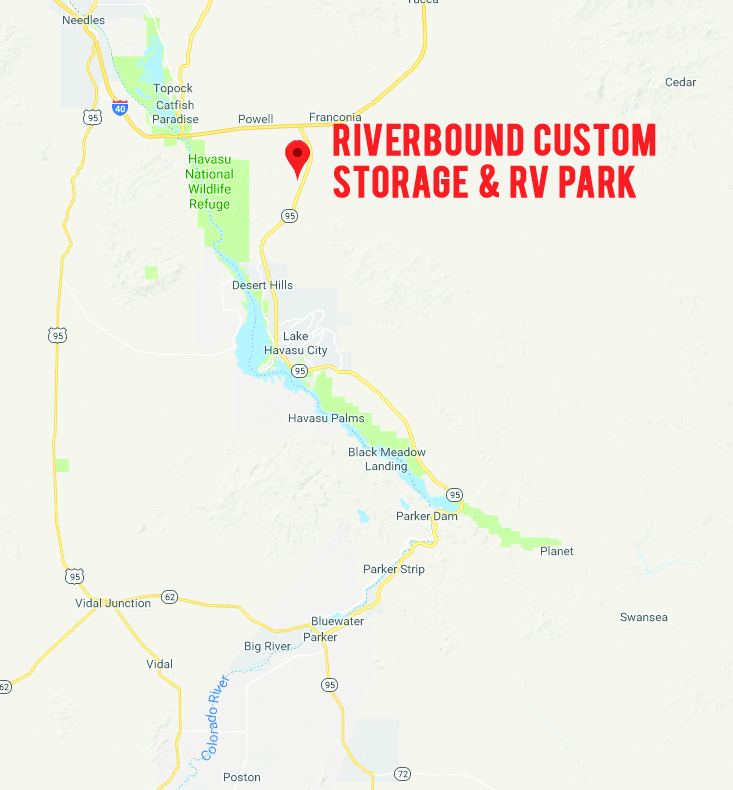 Riverbound Custom Storage & RV Park is the first in the Western United States to combine a Man-Cave Storage Facility, RV Park and Recreation Amenities. 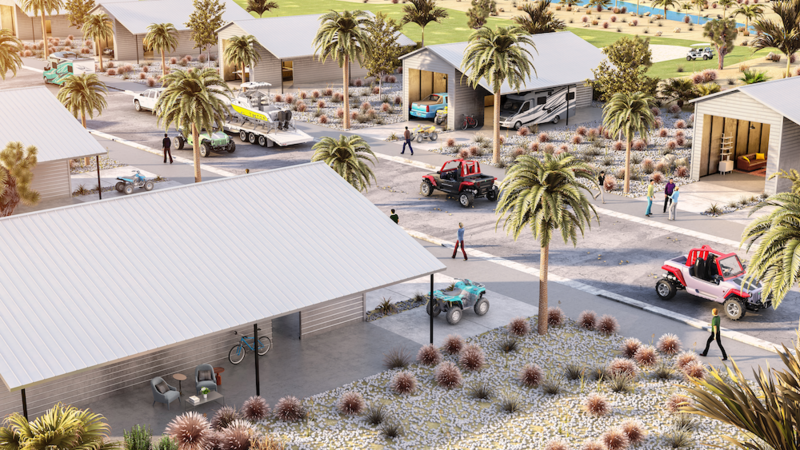 Whether you are a Weekend-Warrior or enjoying a six month stay, our complex will address the needs of a new breed of RV, Boat, & Desert Enthusiasts that want to maximize their vacation time. Patrons can have fun peeling out in their UTV’s, Motorcycles or Jeep’s into the Mohave Desert while being able to enjoy the convenience of storing their vehicles and trailers, rather than towing them several hundred miles. 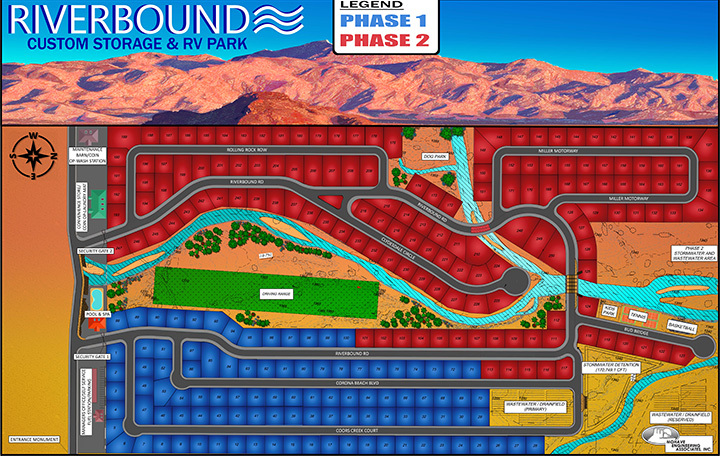 Riverbound Custom Storage & RV Park will have up to 250 sites in it’s first 2 phases of development. Each site will consist of indoor and outdoor storage on it’s own 1/8 of an acre, including free standing individual steel storage structures. Lessee’s will have the flexibility to enjoy interior add-on items through an a la carte menu. Such luxuries encompass Climate Control Features, Work Bench, Tool Chest, Car Lift, Wi-Fi Connectivity, Blue-Tooth Speakers, Flat Screen TV’s, Refrigerator, Dart Board, Foosball Table, Pub Style Table Set’s and much more allowing folks to customize their Man-Cave giving it a home away from home touch. Our facility has plans to incorporate a general store, laundromat, pull through wash station and fuel station. Each site will include individual pedestals which will have full hook up provisions plus sewage runoff for RV’s and Campers. There will be a swimming pool and spa, golf driving range, tennis court, basketball court, a kids park and a dog exercise area. 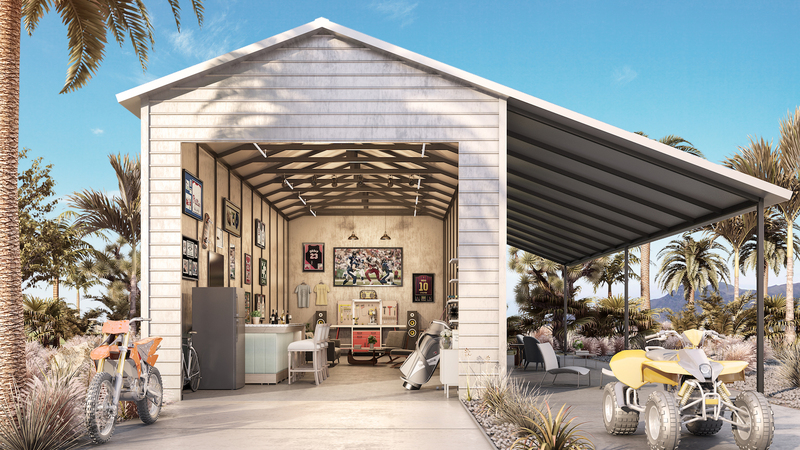 Each 20’X50′ Man-Cave will be erected on a 5″-3,000 PSI concrete pad, which will be fully enclosed with 6” (R-19) vinyl reinforced back fiberglass insulation and constructed with a 16’x14′ insulated steel overhead door with an electric draw bar operator. 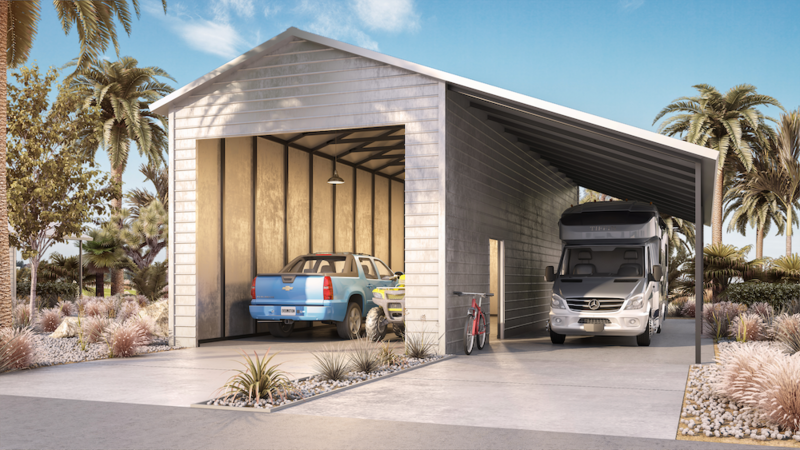 This unique design will not only accommodate the capacity for a full size motor home or 5th wheel, boats, jet skis, motorcycles, and all terrain vehicles but also provide sufficient maneuverability once all of your treasures are packed in. Along the side of each unit is a 15’X50′ concrete RV pad with a permanent awning and a 9’X18′ paved parking space for visitors. Phase I of Riverbound Custom Storage & RV is expected to be completed and ready for occupancy by year end 2019.